There are now more reasons to shop! 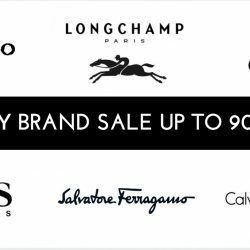 Enjoy up to 90% off Longchamp, Hugo Boss, CK Jeans, Ferragamo, Repetto, Dunhill and many more at Lagardère Travel Retail's Luxury Brand Sale happening for 2 days only from 4 to 5 Nov! Citi Credit Cardmembers get additional 5% off total bill. Time to shop! T&Cs apply. Big brands at small prices. 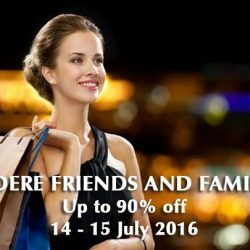 Save big on your favourite brands at the Lagardere Friends and Family Sale Event happening from 14-15 Jul 2016, 10am – 10pm at Crowne Plaza Changi Airport! Look forward to items from luxury brands like Bally, Bottega Veneta, Furla,going at up to a jaw-dropping 90% off, plus, if you hold a UOB Card, you enjoy an exclusive additional 5% off! See you there!